See more objects with the tag landscape, graphic design, children, theater, interiors. See more objects with the color dimgrey darkkhaki dimgrey rosybrown darkgrey or see all the colors for this object. This is a Sidewall. It was made by Katzenbach and Warren, Inc.. It is dated 1954 and we acquired it in 1958. Its medium is machine printed on paper. It is a part of the Wallcoverings department. 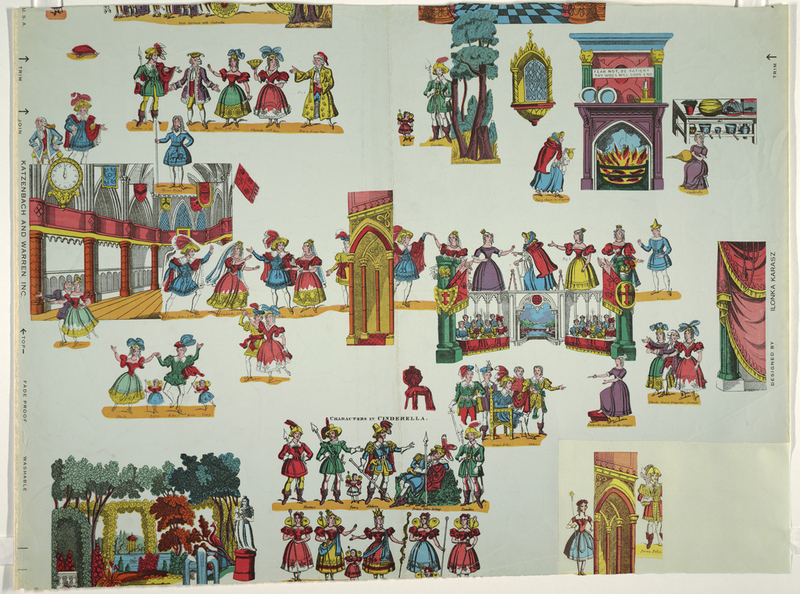 This children’s wallpaper consists of scenes from the fairytale Cinderella. 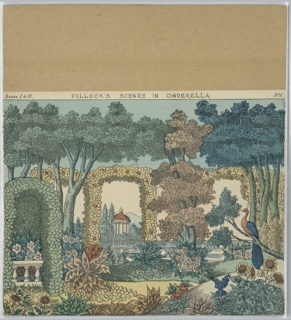 While this design was arranged by Karasz, it is one of the few wallpaper designs not containing her original artwork. 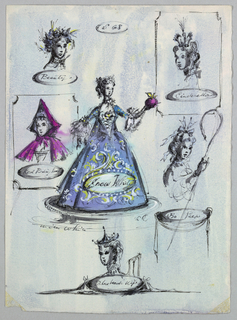 The design is based on images from Pollock’s Scenes in Cinderella, some of which could be found in the Cooper Union Museum collection and on view nearby. Printed in selvedge: "Katzenbach and Warren, Inc., Fade Proof, Washable, Designed by Ilonka Karasz". 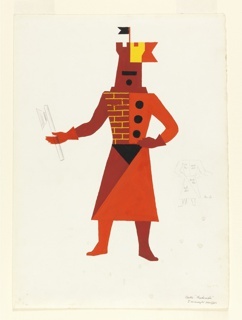 This object was previously on display as a part of the exhibitions	Ilonka Karasz, Works from the Collection and Wall Stories: Children's Wallpapers and Books.